Hanbleceya est un être fait de rêves et d’énergie. Il apparut dans les montagnes Ariégeoises à la fin du siècle dernier, sur les dance-floors des premières tribus psychédéliques du Sud Ouest de la France. Absorbé par les vibrations du diamant sur le vinyle, il devait trouver un corps pour devenir Dj et réaliser sa vision : Le Mouvement. Hanbleceya is a Being made of dreams and energy. He appeared in the Pyreneans mountains at the end of the last century, on the dance-floors of the first psychedelics tribes in the South West of France. Absorbed by the stylus vibrations on the vinyl record, he had to find a body to become a Dj and to achieve his Vision: The Movement. So, the quest begins and he starts to take shape with a good Drum ‘n Bass dose with Ombilikal crew. From parties to parties, he refines his envelope with sharpened and dynamic Neurofunk dj sets. 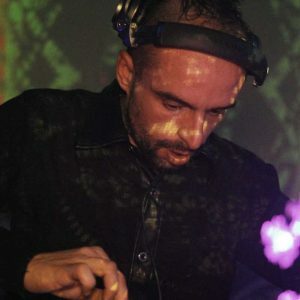 Never full of Movement, it’s when his and Natural Beat Makerz’s paths meet that he adds to his project PsyTrance and PsyProg vibrations, with energic and psychedelic textures. But the Vision Quest must go on. It continues aboard the World People ship and he is getting closer to his goal in each port of call… Hanbleceya invites you into his Vision of what is Movement, then, you will feel Water run down your body, Earth bounce under your feet, warm Air brush your skin and the burning Fire of an endless dance.